The natural fiber tradition runs deep in Western North Carolina. Spinning, knitting, weaving and felting are literally part of the region’s fabric. Some say that the tradition of selling functional weavings began 40 miles north of Asheville at a Presbyterian mission located on a remote crossroads near the Tennessee border. It was here in 1856 at Allan’s Old Stand that a hand-woven coverlet inspired the formation of Allanstand Cottage Industries. Today, you’ll still find Allanstand weavings at the Southern Highland Craft Guild’s Folk Art Center on the Blue Ridge Parkway. George and Edith Vanderbilt also played an important role in promoting the region’s fiber culture. More than a century ago, they created Biltmore Industries. Using the wool of sheep bred and raised on the Biltmore Estate, local crafts men and women created fine fabrics and blankets that appealed to the wealthy and famous visiting Asheville in the late 19th and early 20th centuries. The Biltmore Industry weavers even created special presidential blankets -- red for President Calvin Coolidge, gray for President Herbert Hoover and white for President Franklin Roosevelt. Today’s visitors to the region will find the long-held traditions of shearing, dyeing, spinning, knitting and weaving alive and well in a variety of settings and locations in and around Asheville. The Southeastern Animal Fiber Fair (SAFF). 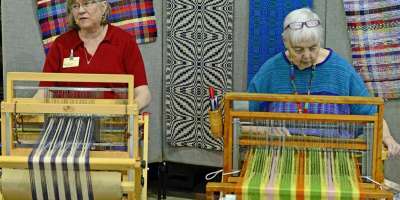 This largest farm-to-spindle celebration in the Southeast features hundreds of fiber vendors from throughout the U.S., as well as demonstrations and classes. The livestock competition provides a chance to see the alpacas, llamas, sheep, goats and angora rabbits up close and personal. In addition to finished garments, visitors can purchase lanolin soaps, lotions and everything needed to become a fiber fanatic. Local Cloth. The region’s Scots-Irish heritage is celebrated with tartans and much more at Local Cloth, an organization dedicated to teaching the art and science of transforming local fiber into cloth. 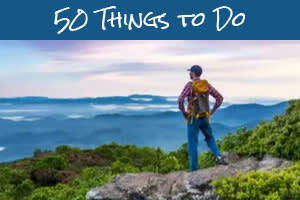 You’ll find them at the Asheville Arts Council space at the Grove Arcade in downtown Asheville. Artists at Work Year Round. The River Arts District is home to several fiber artists and clothing designers. 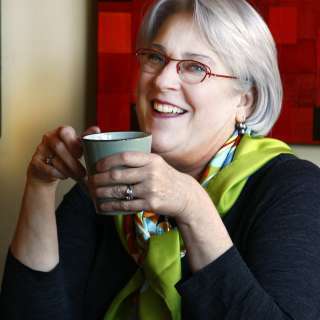 Stocked with supplies and colorful yarns ranging from locally produced wools to organic cottons, these keepers of the cloth offer apparel, accessories, demonstrations, classes, retreats and wisdom throughout the year. Spring Yarn and Fiber Crawl. 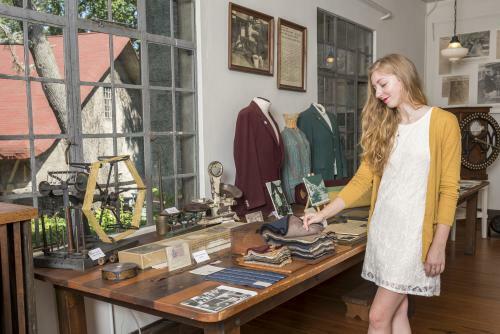 This annual self-guided tour of fiber stores, farms and galleries takes place in May. Fiber Farm Tours. Several farms in the region offer tours May through October. 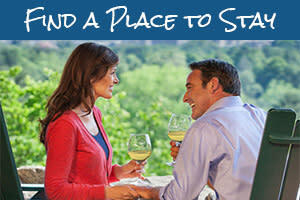 Because these are working farms, it is important to check availability and make reservations. Echoview Farm and Mill in Weaverville– Located on 78 acres, this working farm just minutes outside of Asheville is dedicated to showcasing sustainable agriculture and fiber processing. Leaning Willow Farm, Marshall, NC – This working farm is an easy drive from Asheville into the higher mountains of nearby Madison County. The owners are registered breeders of Olde English Baby Doll sheep which produce wool akin to cashmere in look and feel. 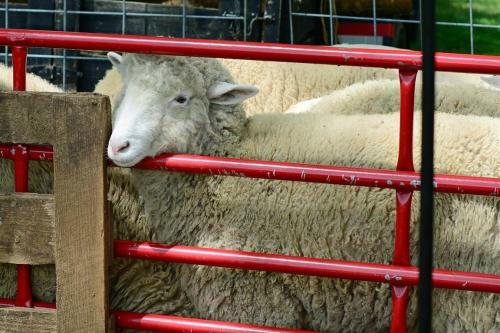 Well Spring Farm, Burnsville, NC – Located in picturesque Yancey county, Well Spring Farm raises llamas and alpacas; Jacob Sheep, an ancient breed distinguished by its multiple horns; the red-headed Tunis Sheep; and Corriedale Sheep, known for their bulky wool. Sycamore Farms, Mills River, NC – This Henderson County farm raises Shetland sheep, a small breed that originated on Scotland’s remote Shetland Islands. The breed produces warm rugged wool that takes color well, making it perfect for the vibrant, intricate and highly prized Fair Isle knitting. Photos by Diana Gates Photography, courtesy of the Southern Highland Craft Guild.